Fall Allergies and Fall Festivals! We make this Awesome and Handy little jar of Tea Tree Allergy Throat Gargle! You know when you start feeling that runny nose or you get a tickle in your throat and get a hacking cough? If you take this at the first sign of a scratchy throat, it will eradicate it! We never leave home with out it! Tea Tree is excellent for oral health. It is destructive to bacteria and virus’ and it stimulates immune function. So, if you use it regularly, you can be prepared to fight off those pesky bugs that go around and can be confident in public when others are hacking away! We will have this clever product a long with many others at Franklin’s Applefest this Friday and Saturday in The Franklin on Liberty Street from 10-4. Today’s featured oil is one of the newest at Pompeii Organics (our favorite essential oil company). Meet Angelica archangelica! True to it’s name, Angelica Root is a truly “heavenly” oil! It’s amazing for the immune system as a whole, fighting infection, fungus, viruses, and inflammation. It soothes pain and spastic muscles. Because of all these properties, Angelica Root also strengthens the respiratory, digestive, lymphatic and nervous systems. It’s recommended for comforting symptoms of depression and sadness and for uplifting the mind and body. Understandably, this oil is a little higher priced than most others, but the value can’t be beat! When used with care, it can last a long time. 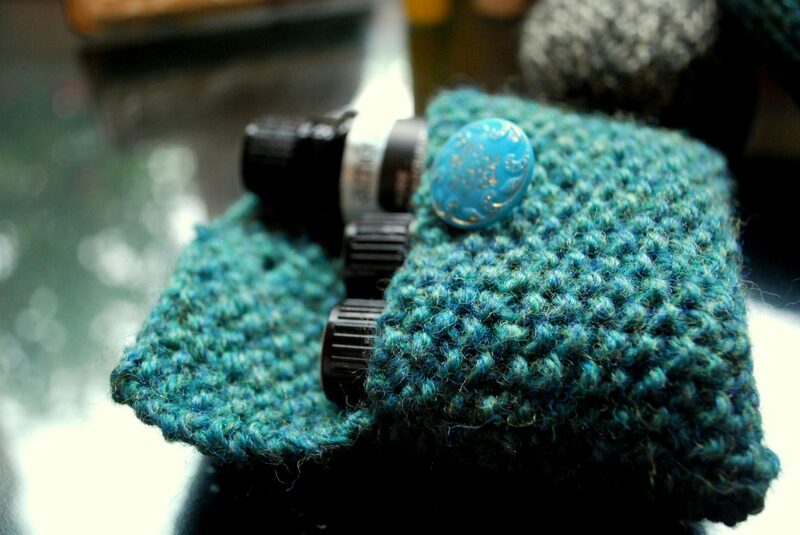 Diffuse into the air or mix with a carrier oil for topical use. A word of caution, however: Angelica Root is phototoxic (reacting with sunlight). It can burn and irritate the skin if exposed to sunlight before at least 12 hours have elapsed. Use caution and consult with a certified aromatherapist if you have any questions! Don’t forget! We’ll be at the Oil City Farmer’s Market in front of the library from 9am to 4 pm today—as long as the weather cooperates. We hope to see you there! A common Christmas tradition is to have oranges. They’ve been around for centuries as a holiday treat for eating and decor. But did you know that oranges can also be used in aromatherapy? Sweet Orange Oil, (Citrus sinensis) to be exact! When you peel an orange and the peel sprays a delightful scent into the air, that is actually the oil! When it’s processed and distilled it is great for a variety of health and well-being applications. According to Pompeii Organics, sweet orange is helpful to boost circulation, relax the body, and calm muscle spasms. It also fights bacteria and strengthens the immune system, which is one reason we eat oranges when we are sick! Have a great weekend, folks! Try to find peace and joy in this busy season. Enjoy it! One of Hannah’s favorite oils to do this with is ylang ylang. Our favorite is this one, from Pompeii. Ylang ylang (Cananga odorata) is an extremely sweet, floral oil. You’ve probably heard of it before – it’s quite popular in commercial lotions and bubble baths. But the scent of those chemical products has nothing on pure ylang ylang essential oil! It’s pungent and perfumy, and sort of makes you need to lie down a minute :). So it suffices to say that you only need a tiny bit of ylang ylang to pack a punch. It’s very sedating and calming, and it helps soothe pain and anxiety. It’s also great for strengthening the immune system. Hannah likes to mix a tiny bit of ylang ylang with some bergamot and peppermint oils. The mix of floral, orange, and mint scents is lovely and soothing, and the energizing mint and citrus helps take the edge off the sleepy ylang ylang :). Are you interested in trying some ylang ylang? Let us know. We’d love to share it with you! 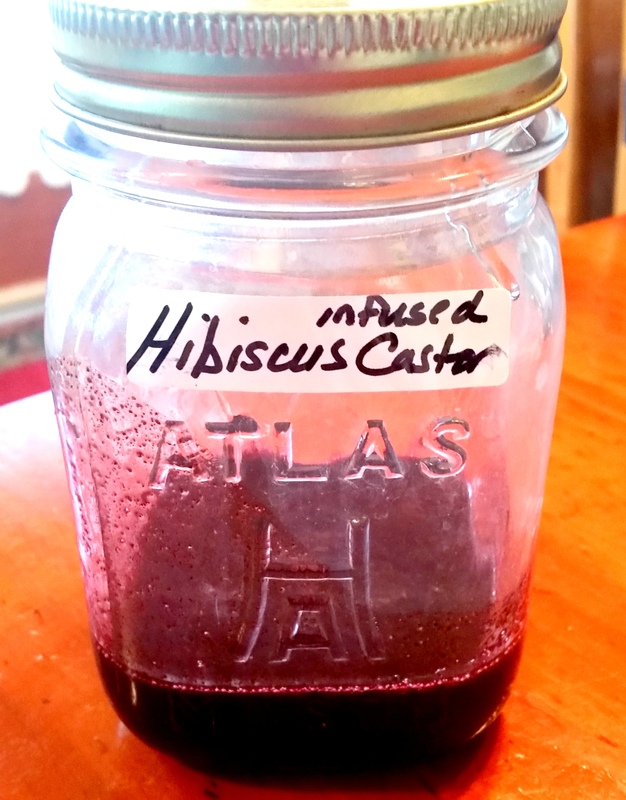 One of my newest projects is hibiscus infused castor oil! Hibiscus (Hibiscus sabdariffa L.) is a vibrant reddish pink, commonly used in teas and natural dyes and makeup. 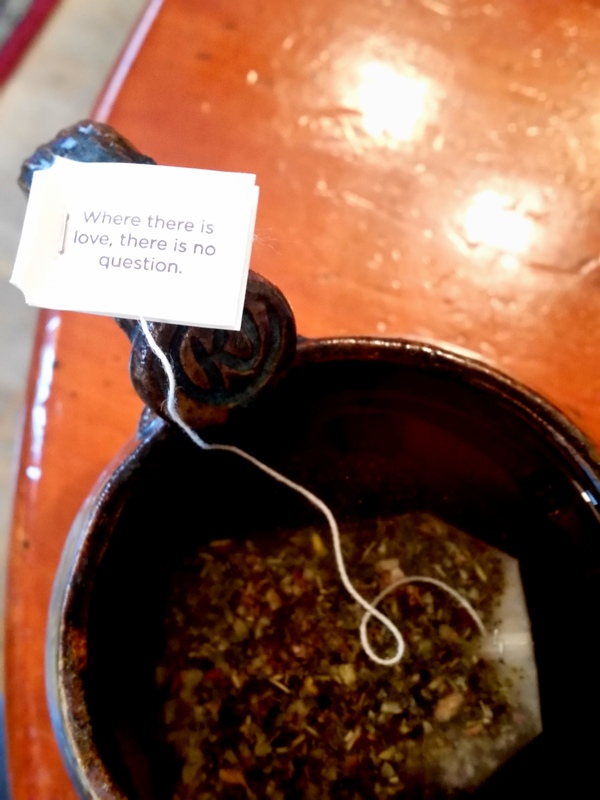 I love it in Yogi Tea’s skin detox blend. Hibiscus also has several health benefits, according to this article by Dr. Mercola. It can support the heart and help maintain a healthy weight. It also has antioxidant properties and can help strengthen the immune system. My hibiscus-infused castor oil combines the goodness of hibiscus with the amazing healing properties of castor oil! This is great for healthy skin and hair growth! Have you ever tried hibiscus tea? Have you used an infused oil before? Let us know!